aggressively shutting the door on him. Nico made a mistake, as his team manager has confirmed, and violated the sporting regulations. alongside the rear wheel of the car in front this will be deemed to be a ‘significant portion’. Lewis made a decisive move that any racing driver has to make given the circumstances (as Davidson and others explained) - especially on a track like Barcelona where another opportunity to overtake will most likely never come, as he surely wouldn't have the 2.4 secs pace advantage required later on. F1 forever a écrit: Nico made a mistake, as his team manager has confirmed, and violated the sporting regulations. Nico also made a decisive move that any racing driver has to make given the circumstances. Lewis was not along side when Nico started the move. However he was along side when the move was finished as your picture illustrates. That's why it was deemed a racing incident by the stewards. JPS, the rule doesn't say anything like what you suggest. I posted it above. Just read it. Also, the picture was taken before Nico had finished his move (watch the video I posted). The rule is designed to prevent accidents like this from happening, not give the lead driver the right to push opponents off the track. Here Nico moves over to cover the inside and you can see Hamilton is still behind. A 1/4 of a second later Lewis gets his nose in but already has a wheel on the white line. Another 1/4 and Nico completes his move and Lewis is forced onto the grass. It's pretty obvious to me that Lewis was overly optimistic sticking his nose into an ever shrinking gap like that. Nico, although much slower, had the right to shut the door. Hamilton was behind him when he did it, or at least when he initiated it. I know you Brit Hamilton fanatics will see it differently though. Absolutely, and those few years were truly incredible and oft marvelous days at Lotus! JPS, it doesn't matter when he "initiated" the move. Otherwise, Rosberg could "initiate" his move being on the far left with a huge gap on the right, and simply drive any driver off the track at will just because he "initiated" his move at some arbitrary moment. That's not what the rule says. During Rosberg's move, a significant portion of Lewis' car as defined by the rules was alongside his car. The evidence has been posted both in video as well as picture form. Still shots are nice... however, not quite what the video shows. 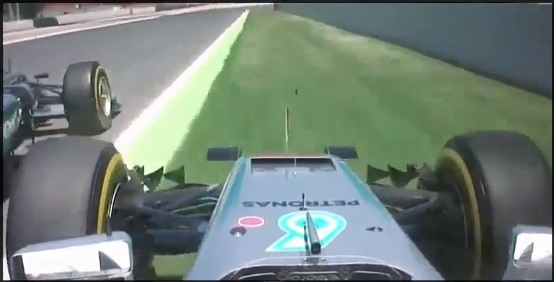 There was a slight feint by Nico, then a COMPLETE door closing, it was far less than a 1/4 second. THAT constituted the double move. Remember, Hamilton feinted to the left FIRST at the top of the chute... In addition, if you go back that very same split second, there was an entire car width to the R of Hamilton's car before the grass. Rosberg absolutely pushed Hamilton off on purpose. He just never though that it would come back to him. Sorry F1 forever but you can't shut the door and then swerve back a tenth later when you realize the other guy's trying to push through anyway. That's a good way to put yourself off. 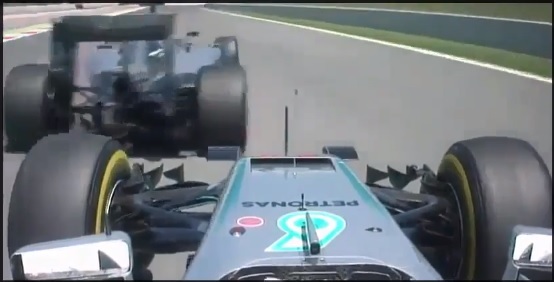 Nico made the move when Lewis was behind. Anyway, it was so close and happened so fast. Plus the huge speed difference magnified everything. That's why it was decided neither should get penalized. I completely agree with that. 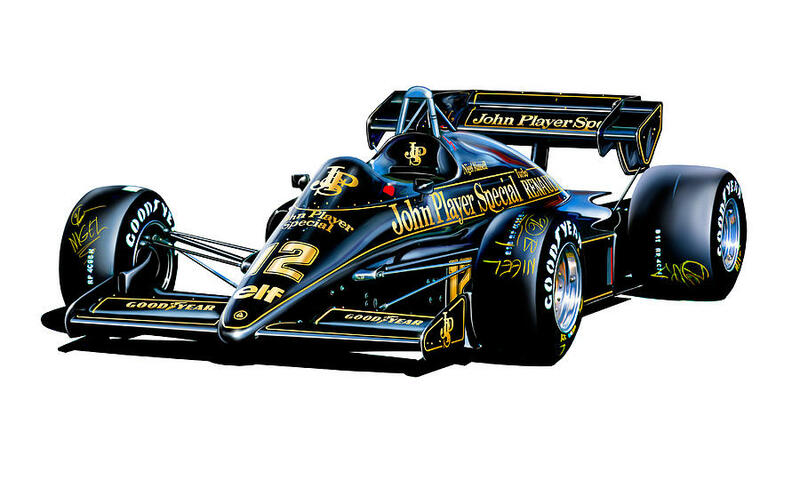 JPS4ever a écrit: Sorry F1 forever but you can't shut the door and then swerve back a tenth later when you realize the other guy's trying to push through anyway. Lewis got where he needed to be in time, Rosberg did not. Yeah, Nico has a habit of doing this, he did it to Lewis at Bahrain 2012... same same!! Interesting... so Renault's update could come as soon as Monaco, and is expected to give a .450s gain per lap on average. Not enough to challenge Mercedes, but Ferrari? I believe it when I see it, but I think it's pretty clear that the WDC and WCC are pretty much decided in Mercedes favor already. Personally, I had hoped for much more of a challenge from Ferrari... it's a shame. Combine that with Alonso's claim of chassis greatness, and the question is why they're 2 secs behind the Mercs in Barcelona then? With Button getting lapped? Lewis Hamilton should be disciplined by Mercedes for the accident that wiped out him and team-mate Nico Rosberg at the Spanish Grand Prix, according to Sir Jackie Stewart, who blames the triple world champion for the crash. While Mercedes non-executive chairman Niki Lauda says Hamilton "took the blame" for the incident. RaySinKa a écrit: Mercedes non-executive chairman Niki Lauda says Hamilton "took the blame" for the incident. Inaccurate. Lewis, just like Nico, apologized to the team (including Lauda) for not bringing home any points. Neither "took the blame" for the accident. Wolff called Lauda's opinion premature and uninformed - which it had to be considering when he shared it. According to Wolff, taking all the datapoints into account, Lewis maneuver was the one "he should have made", considering the circumstances, even though he hated the outcome of the crash. "Il est arrivé avec tellement de vitesse et Rosberg lui avait fait de la place à l’intérieur. Il l’a bloqué trop tard. Ce geste est complètement illégal et dangereux. Physiquement, c’est la faute de Rosberg à 100 %," déclare le champion du monde 1997. "Lui fermer la porte alors que Hamilton était déjà rendu à sa droite est complètement inacceptable. Quand il a été tassé, il avait deux roues dans l’herbe, il ne pouvait plus contrôler sa voiture. Hamilton a eu de la chance, car sa monoplace aurait pu partir en tonneaux." Great race, although I'm kind of sour that Ricciardo ended up on the slower strategy. Well driven by Max who didn't put a foot wrong but I do wish Kimi got close enough to stick one up the inside. What was I doing at 18? Jarnooo, it was determined to be a racing incident after the race, thus no penalties. Doesn't mean that what happened didn't happen, and it's nice to have so much evidence these days for these things! I expect nothing less from him.. I thought the conclusion on this board had been for many years that he's a bit on the senile side. But yeah, he's also on record saying he wants Nico to be champion this season. He also proposed that Mercedes should leave the sport because of their success. And... and... and. Honestly, I don't really care which 100 yo driver has some opinion, unless he backs it up using today's sporting regulations. Which he failed to do. Just because he raced 43 years ago in machinery of that time doesn't make his opinion about today's racing worth anything - unless he makes a good point using today's rules. Not so strange when you know him a little better. I see him every race on German TV. In this case, his reaction came directly after the incident - before he was aware of the details, before he had seen a detailed replay, and he was (naturally) unaware of the main reason for Lewis' move. It was mainly an emotional reaction to seeing both Mercedes out of the race - he was furious, but didn't have a point other than blaming Lewis for "not waiting" until later in the race to overtake. Which makes no sense given the characteristics of Barcelona. Nico himself contradicted Lauda in that regard. Since then, he's really been reaching, stubbornly holding to his position (which is what he usually does in front of the camera) - which is why I appreciated Wolff setting the record straight from the teams' point of view. Lauda's opinion was premature, uninformed and purely emotional - just don't expect him to admit that he jumped the gun on this one. He last race 43 years ago and was pretty much a weak sister even then, Stewart never took any tiny chances, whatsoever. Therefore, Last Man standing. Now, Stirling Moss, Dan Gurney, Mike Spence, Pedro Rodriguez, Francois Cevert, Ronnie Peterson, Mario Andretti, or John Surtees... Chris Amon, Denny Hulme, Jack Brabham... and a bunch of others, had big balls, but that's another story. It is easy to apportion slightly more blame to Lewis because he’s an attacking car, but the rules state if you have a “significant portion” alongside, then you can’t crowd someone off the race track. Lewis did have his front wing alongside. We can see that clearly. Of course Nico can’t, with those tiny little mirrors. This is why I think the stewards got it right. 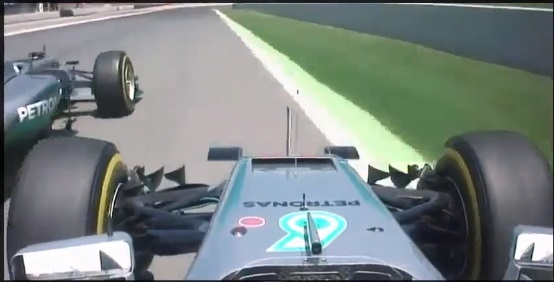 But fundamentally, all this was put in motion by Nico being in the wrong engine mode. As for Rosberg not being able to see Lewis with his mirrors, that is, according Rosberg himself, not accurate in this case. He claimed to have been aware of where Lewis was the whole time. And so he did deliberately crowd him off the track, violating the sporting regulations in a number of ways. The reality is that the rules of engagement are different from Niki’s days of racing, and different from mine. Back when Sir Stirling Moss was racing, they avoided touching wheels at all costs as they would be ejected from the car. In Niki’s they had they effectively had the fuel wrapped around their body. Now it’s different. The drivers are further from risk, so they will have a different way of positioning their car and moving around. It is human nature. Coulthard, Villeneuve, Davidson, Hill, Chandhok, Surer... they all presented a much more relevant point of view. Gary Anderson a écrit: I agree with Niki Lauda that Hamilton was at fault. There have been a few occasions where the world champion has been a bit brutal with Rosberg, who on this occasion held his own.